Do you remember when you first started dating, back when you were a teenager? Kissing was the best thing in the world. The intensity of his lips touching yours sparked a cascade of sensations throughout your whole body. You could kiss each other into a mad frenzy of passion - just by kissing. When did kissing just become a quick peck on the cheek or a brief touch of the lips before you both dashed off in separate directions? When did the spark go out? Next time you kiss your significant other take the time to really connect with their lips rather than just brushing them with yours and departing. Notice how soft your partners lips are, take a moment to breathe in their scent. Just connect lips to lips for moment of pure sensual pleasure - not as a prelude to anything else. Trust me, if you take the time to regularly kiss your partner things will also start to heat up on all levels of your relationship. In fact lots has been written on the benefits of a ten second kiss everyday. Ten seconds doesn't sound like a long time .....until you try it. The idea is not to time it so much as to spend some time connecting and enjoying the moment. There is nothing so sensual as a prolonged, tongue tangling kiss. The taste of your lovers mouth, the wetness of the mingled saliva and the softness of the lips stimulates all of your senses and calls to mind the sensations of another set of lips. A deep, long kiss connects you on so many levels and sets off sparks of interest all over your body and before you know it you are back to feeling like a teenager again, wanting nothing more than to lose yourself in kissing your darling from head to toe. 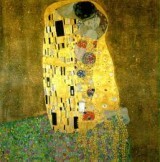 Start adding one ten second kiss into your daily routine - with out expectation of anything more and see what changes . Leave me a commnet and let me know what you'd like me to discuss next! Happy Kissing!